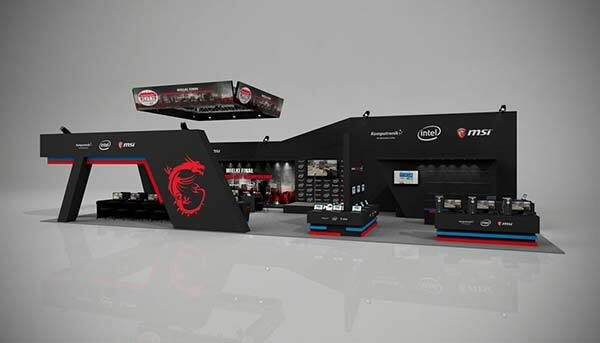 For three days of IEM 2016 MSI's booth will unveil lots of attractions and gather public at meetings with interesting guests like Fnatic teams, and polish top gaming Youtubers IsAmU and Rojo. We organize following tournaments during IEM: Heroes of the Storm (with sponsorship of Blizzard Entertainment), CS:GO, HearthStone, Warface (cooperation with Crytek) and Fifa 16 with popular Youtubers and Prizes are funded by SanDisc, SteelSeries and iiyama. Our players can win e.g. : SS Apex gaming keyboards, SS Siberia headsets, Rival mice, SSD, Intel i5-4690K processor or monitor iiyama G-master are funded by SanDisk, SteelSeries and iiyama. There will be also cosplay with G2A and many small contests at MSI Polska Facebook fan page. MSI will present the best of its products, the gaming series for real players. First time in Poland the public will see a powerful mini desktop in an extraordinary shape, new transformer desktops with Z170A Gaming Pro Carbon, GTX980Ti Lightning. Visitors will play new games like: Far Cry: Primal, Street Fighter V, Rise of the Tomb Raider and XCOM 2 on our best notebooks with Skylake CPU's e.g. : MSI GE72 6QF, GT80 2QE or GE72 6QF and novelty GL62 6QC (available 800 PLN cheaper during IEM with SteelSeries Siberia 150 in bundle). We are planning attractive promotions for you at the MSI and Komputronik booth with discount reaching 800 PLN for the best gaming hardware. The offer includes: Nightblade MI2 and Nightblade X2B, motherboards Z170A Gaming Pro Carbon and X99A Godlike Gaming and among graphic cards: GTX 970 Gaming Pro 4G and GTX 950 2G. As a novelty Z170A Krait Gaming 3x will be shown on the special exposition.